Cheim & Read is pleased to announce an exhibition of new photographic works by William Eggleston. Born in Memphis, Tennessee in 1939, Eggleston began experimenting with color photography in the late 1960's as a means to record experience in more accurate and sensual terms than traditional black and white. This color revolution was recognized in a 1976 exhibition at New York's Museum of Modern Art dedicated to Eggleston. Since then, critical attitudes have shifted giving it a widespread artistic legitimacy and inspiring new generations of American color photographers. 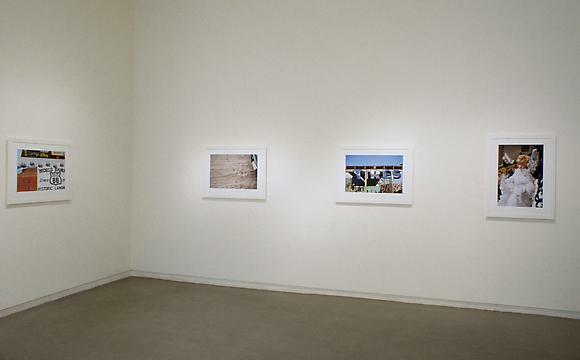 The works in this current exhibition are the first new photographs to be shown since 1992. Taken in and around the Southwestern United States they interpret that landscape as an alienating and eccentric environment littered with the cultural debris of evangelical churches, commercial signage and metaphoric architecture.